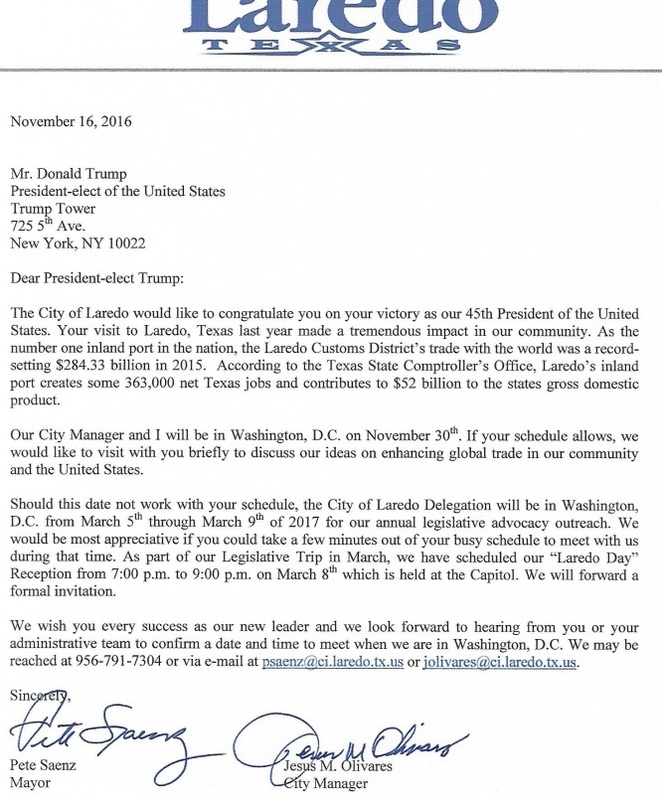 Earlier this month, Mayor Saenz and Mr. City Manager sent President-elect Trump a congratulatory letter. Fawning was dished out in spades: Your visit to Laredo, Texas last year made a tremendous impact in our community. End quote. 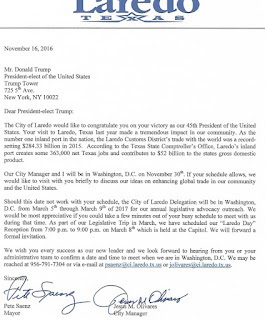 I don't know how Trump made Laredo great again, but our city leaders are desperately looking forward to working with Donald and his team. When Mayor Saenz was asked in March who he would vote for, he hedged. I can't read the mayor's mind; I can only look to his conservative hairdo to answers to the nagging voting question.